Why Jay R is the Philippines' King of RnB? 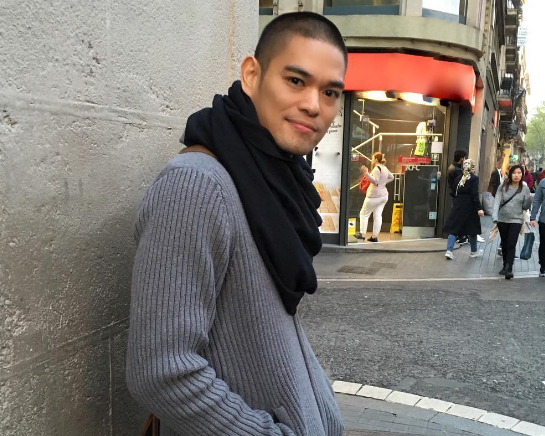 Recalling one of his interviews from the past, JayR, whose real name is Gaudencio Sillona III, shared that he thinks the title was given to him because of his passion for such genre of music. The 35-year-old singer, who transferred to ABS-CBN in 2014, has been in the recording business for over a decade. In 2003, Jay R released his debut album under Universal Records, Gameface, which brought one of Pinoys' favorite videoke hits today, "Bakit Pa Ba." The album, which won a number of awards including Platinum from PARI (Philippine Association of the Record Industry), also contained other R&B cuts co-written by Jay R and produced by respected American producers. Two years later, Jay R released his self-titled second album. It was also that year, when he was dubbed as the "R&B Prince" as he was often partnered with tKyla, touted then as the "R&B Princess." Now, they are the R&B Royalties (R&B King and Queen). The album included his rendition of Billy Joel's classic hit, "Just The Way You Are," and his interpretation of Vehnee Saturno's "Ngayo'y Naririto." Jay R, in 2006, released a Christmas album, Christmas Away from Home, which he dedicated to his late uncle Reny. That same year, he built his own recording studio, Homeworkz Records. In 2008, Christmas Away from Home, was re-released for the benefit of the GMA Kapuso Foundation. Also, a cover album was spawned titled Soul in Love, his fourth, highest-rated, and biggest-selling album that included his renditions of R&B/jazz hits like "After the Love Has Gone," "Always and Forever," and "Ain't No Sunshine." Meanwhile in 2010 Jay R's first-ever all-Tagalog album titled Jay R Sings OPM Love Classics was born. It featured his renditions of OPM (Original Pilipino Music) love songs that he personally chose, including "Muli," his collaboration with Asia's Soul Siren Nina, and "Himala" by Rivermaya. Also in 2010, Jay R recorded "Kau Dan Aku," a song in Bahasa language, for a release in Indonesia. Through all these releases alone, Jay R has always proven that he deserves his title. He was recognized by diferent award-giving bodies such as PMPC (Philippine Movie Press Club), Wave89.1, and Philippine Hip-Hop Music Awards. Always thinking of new ways to elevate OPM to the next level. Jay R continues to explore and conquer when it comes to music. Since he transferred to the Kapamilya network, his talent, not just as an R&B artist, but as a singer in general, has gained a wider reach, especially when he joined the first season of the singing-reality show Your Face Sounds Familar, and when he became one of the interpreters in the recent Himig Handog P-Pop Love Songs, wherein he and KZ Tandingan sang "Laban Pa" by David Dimaguila. The song won 3rd Best Song. Truly, no one can contest why Jay R is King of R&B.